I read this article and thought it was brilliant, thought it might be something for you. 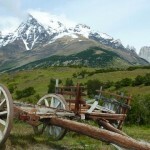 The article is called Torres del Paine – Puerto Natales, Chile and is located at https://timeasatraveller.com/torres-del-paine-chile/. 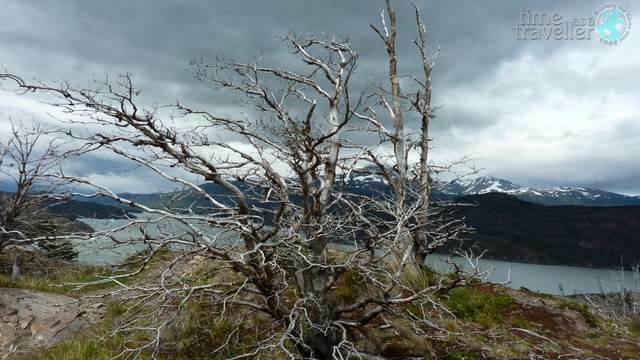 Puerto Natales as a town is a small, relatively out of the way kind of place. There’s not a whole lot going on there, and it’s not the sort of place you’d visit for the town alone. 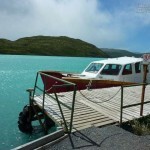 People come to Puerto Natales for Torres del Paine National Park. 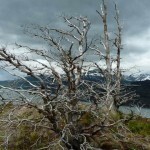 It’s undoubtedly the most popular hike inPatagonia. 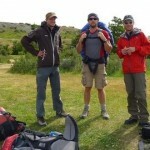 There are two options for hiking, the 4-5 day ‘W’ circuit or the 8-9 day full circuit. Since we were on to the third hike in 3 weeks we opted for the ‘W’, from east to west. 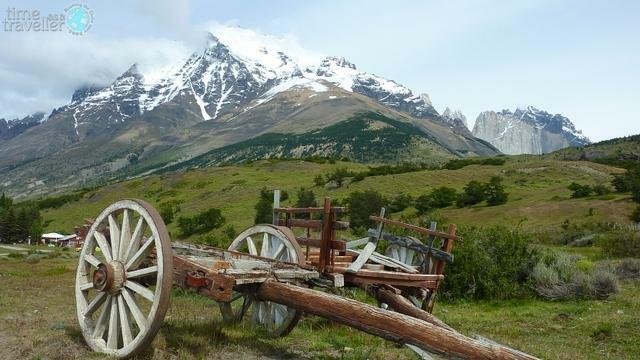 The entry fees alone for Torres del Paine are steep, 15000 Chilean pesos just to enter the park, then if you don’t have your own gear you’re wallet is in for a surprise. 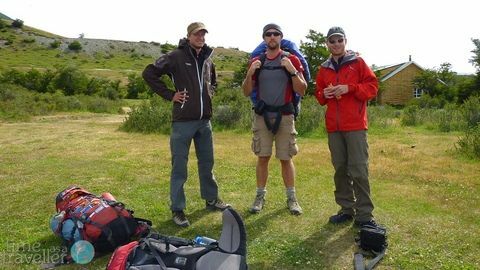 We had our own gear and still ended up handing over about £80 just in fees and getting to/from the national park, but it was well worth it. Day one we had a relatively easy 3 hour walk to the free campsite, then a hike to a view point where you actually see the Torres del Pain, the three large mountains the park is named after. It’s quite beautiful and lots of people do day trips out to there from town. The campsite for the night was free and the park ranger was a Chilean guy who had just finished a 3 month working stint in Wilson’s Promontory in Victoria. The campsite was filled with sand flies, so much so that that when getting into the tent I had to take the ‘run up and dive’ approach to avoid having the tent filled up with sand flies. Day 2 we found a short cut to take an hour off the day but still managed to walk for 8 hours to the next free camp site, Campamento Italiano. 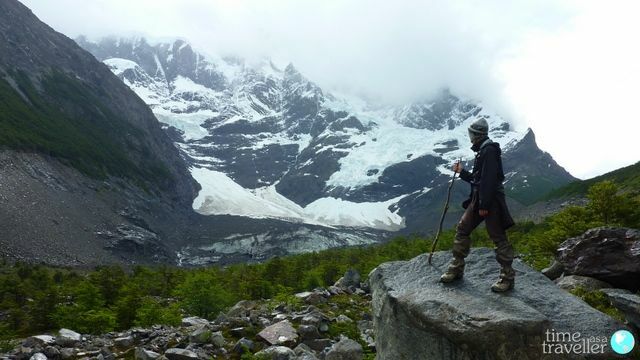 The walk was filled with magnificent views of mountains, lakes and valleys. The camp site was in a beautiful spot, right by a large river and with a beautiful side walk up into the mountains. It was New years eve, this used to be my favourite night of the year. This year I was asleep in a tent by 9pm, not exactly the way I had envisaged New Years 2010. Waking up on New Years day however, was beautiful. My first few steps were on a dodgy bridge over a huge river. The second half of the day we had spectacular views over lakes with large chunks of ice floating around from the glacier in the distance. 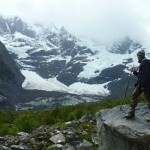 We walked for about 6 hours before making it to our final camp site at Glacier Grey which was on the edge of the lake. It was beautiful and our tent opened out to see large slabs of ice in the water only meters away. By about 6 in the evening the camp site was full and yet again, in the middle of no where, we bumped into Yann and JB. The boys had managed to find dry meat to take on their hike, which sounds nice enough, until they found out it was horse meat. That night it rained. It poured down. And we had somehow managed to bag the only dry camp site under a huge tree. So the four of us had one last dinner together, us with pasta, the boys with not so tasty horse meat. The final morning and the camp site looked a little worse for ware. There were tents half blown away, the people no where to be seen. It was quite the scene. Our little tent pulled up remarkably well, but the weather was still looking mean. So we packed up and made it out in about 2.5 hours. 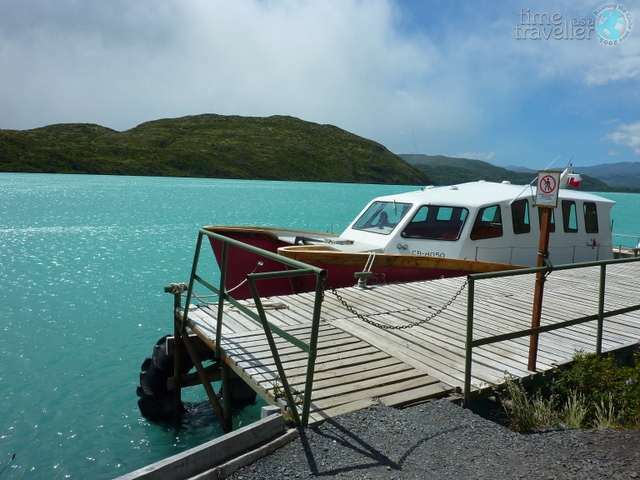 We paid out 11,000 Chilean Pesos each for a 20 minute Catamaran ride, then a bus back into town. 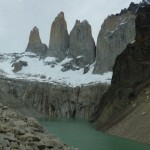 Torres del Paine was a brilliant final hike. We arrived back at the hostel dirty, stinking, and hungry. It’s times like these that my toiletries bag really is my best friend. I’ve had some amazing experiences over the last 3 weeks, seen some of the most breath taking views of my life, met some good people and had some good times. But I’m tired and my knees dont seem to work like they use to. So it is with a weary smile that I say hiking season is over, but also with sadness when I think that we’ll never bump into Yann and JB hiking over the top of a mountain ever again.